One of the coolest happenings. Worldwide. We interrupt our regularly scheduled Mid Century Modern programming to inform you. Enlighten you. Entertain you. And quite possibly shatter your fear of public speaking. 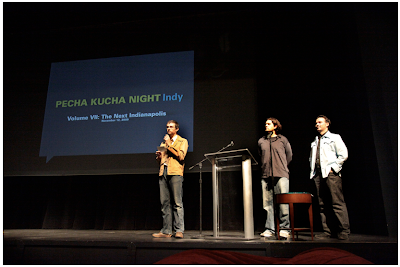 Meet Pecha Kucha (pronounced: pe-chak-cha). 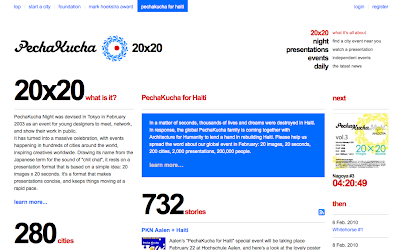 Born in Tokyo, Pecha Kucha literally means "chit-chat." 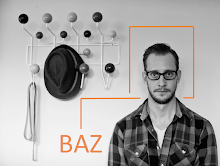 What it is: The Fight Club of Powerpoint. How it plays out - each presenter has to get through 20 slides in 6 minutes and 40 seconds. That's 20 seconds per slide. Fun, right? 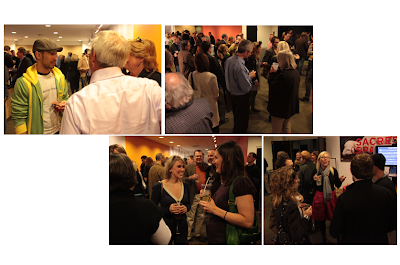 Designers, artists, creatives, and other like-minded peeps gather for a fully-stocked bar + live presentations. The arguably sober audience calls the shots. Topics and themes vary. But mostly it's a free-for-all. Watch some presentation examples here. 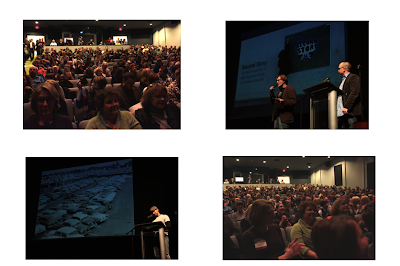 Burgeoning is Indy's Pecha Kucha chapter, thanks to inspired local architect Craig McCormick. Here are some pics of a previous event to prime your pump. Look like fun? It is. Join us. Indy's next event is Saturday, 2/20/10. That's this weekend. Have plans? Break 'em. Here's the official Facebook invite for the Indy event. To see if your city has a PK chapter, click it up right... here. If your urban surrounding lacks a PK chapter, get one kickin' right... here. All PK nights around the world are currently raising Haiti money. Good cause. Good times. Consider yourself enlightened. Entertained. And quite possibly shattered.